The following guidelines are to be used in conjunction with an AcuPresence Healing protocol. The key ingredient in this practice of self-love is your presence. Create your own personal Attunement Session by following the guidelines below. Presence yourself by getting comfortable, taking some deep breaths, and perhaps placing a hand on your heart or belly. Allow the mind and body to relax. Select an AcuPresence protocol. This can be a Medicinal, I-Ching, or personal healing protocol obtained in a consultation. Read the Acupoint Synopsis Page for each of the acupoints listed. Familiarize yourself with all of the acupoints and contemplate the Essence and Medicinal Virtues of each point. Choose one or more points with which you resonate the most. It is common to pick 1-3 points, no more than 6 in one session. Using the diagram, locate the acupoints on your body. Mark each of the acupoints on both sides of your body with a pen for easy location. There is only one acupoint location on the Conception Vessel (front midline of the body) and the Governor Vessel (back midline of the body). Some acupoints, especially on the torso, are easiest to find by looking in a mirror. Write down the Invocation for each point you have chosen. Pick a key word or phrase from each Invocation and weave them together to create your Storyline Invocation. Keep this with you, memorize it, or post it where you can easily read and contemplate it. Place an Attunement Seed or tool of your choice on the acupoint. Placing the tool is a conscious act of presencing and attuning to the essence of the acupoint. It’s like striking a tuning fork of a high resonance and allowing your stuck qi to come back into its own highest resonance. The seed can remain on as long as you like. It then serves as a reminder, inviting you to return to the sacred site again later. Attune to each acupoint. Contemplate its archetypal energy, imagine it, envision it, and feel it in your body. Rest your attention on the acupoint. You are not making anything happen, not imposing an agenda or applying effort. You are simply bringing your contemplative, receptive presence to the given acupoint and being with it. As you breathe deeply, allow yourself to fall into the embrace of the point’s nurturing energy. Feel the pure life essence vibrating there, rippling out into the energy meridian, and spreading throughout your body. Attune again throughout the day by revisiting the acupoints, touching them, feeling their essence, and repeating your Storyline Invocation to deeply receive the transformative medicine of the acupoint. Read all of the Acupoint Synopsis Pages. 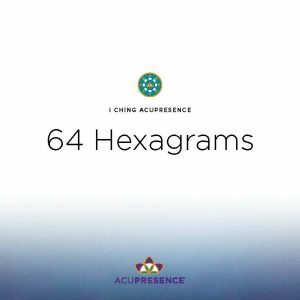 Choose acupoints for this attunement session. Write out or review the Invocations. Place attunement seeds or other tools. Attune and repeat your Storyline Invocation throughout the day.